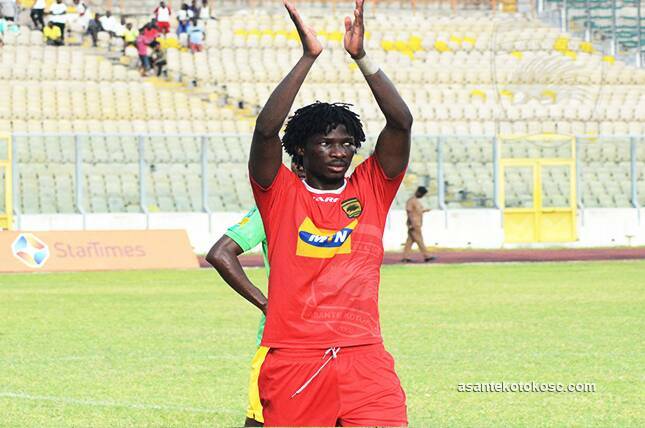 Chief Executive Officer of Asante Kotoko, George Amoako has urged fans of club to remain optimistic despite reports of the departure of top striker Sogne Yacouba. The Burkinabe attacker is on the radar of Zambian giants Zesco United, who have made an official inquiry for the striker. According to management of the club, if Zesco come with a good offer they will allow the attacker leave. This has left many fans of the club unhappy, seeing the club's most priced asset on the verge of leaving. Despite the uncertainty surrounding the 26-year old's future, Mr. Amoako insists 'with or with Yacouba', the club will always be a force to reckon with. “Yacouba wasn’t the Yacouba we see today before signing for Kotoko and no club was even willing to sign him but he became who he is today when he was imparted by the spirit of Kotoko,' he told Oyerepa FM.